Unsung Symphonies is thrilled to welcome Emily Richmond Pollock, a Ph.D. candidate in musicology at the University of California, Berkeley. She is writing a dissertation on opera in West Germany from 1945-1965. We let her contribute even though she's never watched all of The Big Lebowski. It’s fitting that a post about Hans Werner Henze’s Symphony No. 4 would appear on a blog called Unsung Symphonies, because this is a piece that has literally been “un-sung.” In 1962, six years after the disastrous premiere of his opera König Hirsch (a third of the piece was cut), Henze returned to the opera to create his own “authorized” shortened version, which threw out the original half-hour Finale of Act II.1 It was that cut material that became his Fourth Symphony, with the vocal parts submerged and incorporated into the orchestral texture. The symphony’s single continuous movement camouflages a formal scheme that was unusually “instrumental” within the opera, where sections were named Introduzione e Sonata, Varizioni, Capriccio, and Ricercar. In the symphony, these section headings were standardized to Prelude and Sonata, Variations, Scherzo and Trio, and Rondo. These instrumental pretensions (paging Alban Berg!) result in a tidy relationship between musical structure and dramatic sense in the scene, which depicts a year in the life of the title character, the King Stag – bound to the forest as an animal, his human soul continues to make him yearn for the city. The connection between the cycle of seasons in a year (conveyed in the opera by changes of lighting) and the classical, four-movement, ostensibly “cyclical” symphony, becomes almost too programmatic and “on the nose” once it is transposed from the opera stage into the concert hall. The orchestrational aspects of the transposition from one musical medium to another, however, are executed with subtlety and panache. For one thing, it’s appealing to be able to hear what the opera sounds like without voices – and it’s not just the Berlin Philharmonic’s performance that makes the texture feel all of a sudden more like an integrated contrapuntal whole.2 In an opera, orchestration often takes a back seat to vocalism, and it’s sometimes hard to remember that the people in the pit are more than “mere” accompanists. In the symphony, though, the vocal lines become part of a crowd, coming in and out of relief with much more flexibility than is usually possible within the standard hierarchy between orchestra and vocal soloists. A short passage from near the beginning of both the scene and the symphony helps to illustrate Henze’s general approach.3 The King’s two angular interjections (“Wald, hör’ mich an!” and “Öffne dich und laß mich ein!”) become solo calls in the cellos and the trombone, respectively. Henze keeps the lines in the tenor range, but uses different instrumental colors, which blurs any fixed identity between the original character and the melodic lines in the symphony. Meanwhile, the ensemble of Forest Spirits that answers the King is subsumed into the string section, allowing the rustling woodwinds to come through in a way they never did in the original. Henze had a different strategy in mind when he orchestrated one of the King’s virtuosic solo passages from the third section: the tenor solo is set exclusively for the trumpet, which of course stands out starkly from the rest of the orchestra – maybe even more so than the original singer’s voice.4 In addition, instead of the brass section’s entrance drowning out the vocalist (as it nearly does in the opera), it complements the sound of the trumpet, so the whole group can really go for it, instead of struggling to stay under the soloist. I would guess that that the firmer identity between the vocal solo and the single instrument in this section is related to the opera passage’s more “arioso” register and more closed form; by contrast, Example 1’s dialogic context meant that the King’s lines were less strongly “set off” from the surrounding material. It’s probably apparent by now that Henze’s orchestration in the opera is generally quite lush; in some cases, the extensive doublings between the instruments and the voices mean that hardly anything changes between the opera and the symphony – the voices are merely strained out.5 But wow, the Berlin Philharmonic can really play (yes, yes, Captain Obvious) – what is pretty enough in the opera takes on shades of poignancy and even contrapuntal brilliance when it is slowed down a little, executed by amazing musicians, and allowed to breathe, the way a symphonic slow movement traditionally begs to be played. And what of the sections that in the original had separated out the orchestra from the voices? A slow, unapologetically consonant passage toward the end of the scene features the Forest Spirits in a breathtaking a cappella hush, alternating with equally “choral” answers from the strings or woodwinds.6 The idea of alternating orchestrations of chorale textures gets taken one level higher in the symphonic version, which casts the voices sometimes as groups of solo woodwinds, sometimes as solo strings, sometimes (when unison in the original) as celesta or harp. In both versions, it’s a beautiful passage that stops time and positively shimmers. Aside from these “devocalizations,” Henze didn’t do much to transform the piece from its operatic context to its symphonic form. This might seem like cheating – how symphonic can a symphony be if it comes right out of one of the most blatantly operatic operas of the post-war period? But this generic fuzziness is exactly the issue that this piece can illuminate so usefully. We use words like “operatic” and “symphonic” as if those words have stable meanings, but how often do we think about what those labels really stand for? Henze has commented ironically on the “division of labor” between him and the composers of the Darmstadt school, where “they got the electronic studios and the late-night programmes, I got the symphony concerts and opera houses.”7 Perhaps for Henze, then, these two monumental genres were actually close kin. 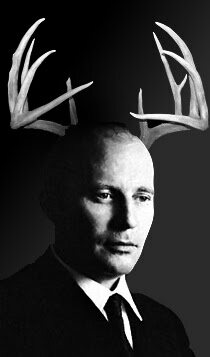 So is Henze’s Fourth an operatic symphony, or is König Hirsch a symphonic opera? 1. The major secondary work on the opera, and on the Symphony by extension, is the monograph by Klaus Oehl, Die Oper König Hirsch (1953–55) von Hans Werner Henze (Saarbrücken: Pfau-Verlag, 2003). See in particular p. 245-277 and 304-313. 2. The sound examples in this post come from a radio broadcast of the full version of König Hirsch at the Staatstheater Stuttgart in May 1985, conducted by Dennis Russell Davies, and from a live performance by the Berlin Philharmonic in April 1964, conducted by the composer (Deutsche Grammophon 449 861-2). 4. Opera: Act II Scene 6, m. 27-45 (from “Capriccio” section); Symphony: m. 232-251. 5. Opera: Act II Scene 6, m. 1-19 (from “Variazioni” section); Symphony: m. 155-173. 6. Opera: Act II Scene 6, m. 162-193 (from “Ricercar” section); Symphony: m. 426-459. 7. Henze, “German Music in the 1940s and 1950s” in Music and Politics, tr. Peter Labanyi (Ithaca: Cornell University Press, 1982), 47. 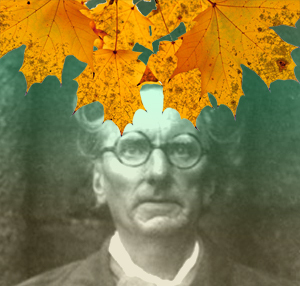 Rued Awakening - Langgaard's 4th "Fall of the Leaf"
In 1948, the the Danish composer Rued Langgaard penned perhaps the snarkiest work for large orchestra and chorus in our fair history of western music. Bearing the title/lyrics "Carl Nielsen, our great composer" and the performance indication of "play with all one's might," this essay in musical bitterness is a mere 32 measures. But if played according to Langgaard's instruction "to be repeated for all eternity," the piece should wrap around itself in unceasing, pointless indignation. Despite a dedication to "the world of music in Denmark," it understandably did not premiere during Langgaard's lifetime. This is not the product of a composer who felt he was treated fairly by the musical institutions of his time. Immensely prolific, with over 400 staggeringly varied works to his name (including 16 symphonies), Langgaard suffered much of his life under the shadow of Denmark's symphonic paladin, Carl Nielsen. Nielsen embodied Denmark's triumphant late arrival to the European orchestral scene; today we regard him highly for developing innovative, rigorous compositional procedures that fell outside the German/French mainstream. In his own time, Nielsen wielded great sway over the direction of Danish aesthetics, and pointed them decidedly away from the style of his contemporary symphonist. Langgaard underwent a prolonged disillusionment with this "vulgar" music, increasingly re/denouncing Nielsen's brand of modernism and veering instead into his own odd brew of late Romantic and pastiche Classical styles. His music disregarded, the eccentric composer was forced into virtual exile from the country's center of musical culture, Copenhagen. It will be hard to encapsulate Langgaard the symphonist to one entry. His symphonies range from the gargantuan (the hour long "Pastoral of the Rocks," written at the age of 18) to the vanishingly small (No. 11, "Ixion," an intensely weird 6 minutes), from luscious romanticism (No. 3 "The Flush of Youth - Melodia," basically a piano concerto), to apocalypticicsm (No. 6 "Heaven-Rending"), and eventually neo-classicism tinted by absurdism (No. 13, "Belief in Wonders"). Running threads include programmaticism, nature worship, and a mystical bent. Perhaps in the future we'll bring in more of these, but I concentrate here on a symphony that nicely encapsulates what sets him so starkly against his peers as a symphonist (particularly the teleologically-driven Neilsen) -- Langgaard's Symphony No. 4 in Eb-minor "Løvfald" ("Autumn," or literally, "Fall of Leaves"), written in 1916. This one of Langgaard's works best represented on disc (at least 5 recordings). I use clips from the glorious Thomas Dausgaard complete set of symphonies, as definitive as you can get. In terms of structure and subject matter, a correlate for Rued Langgaard's 4th is Richard Strauss' Eine Alpensinfonie (1915). Both are single-movement tone poems in all but name (TPIABN...yikes), both heavy on the musical mimickry of nature sounds. Instead of representing a particular location as in Alpensinfonie, Langgaard depicts a time of year, a rather turbulent autumn. He has an even shorter thematic attention span than Strauss in this work -- Løvfald's twenty four minute duration is segmented into 13 sections, the longest not even 3 1/2 minutes. There is generally no real attempt to mask the episodic basis of the work, and what results is an almost Brucknerian feel of reaching the end of a thought (prematurely, sometimes), pausing, and resuming with new material. Many sections bear descriptive titles, and the overall progression of titled movements is below, charting an eventful fall day. I. Rustle of the Forest -- II. Glimpse of Sun -- IV. Thunderstorm -- VII. Autumnal -- VIII. Tired -- IX. Despair! -- XII. Sunday Bells -- XIII. At an end. Parsing Langgaard's forms can be extremely frustrating. Just as you think a sonata juxtaposition of contrasting themes seems to emerge, or a recapitulatory function, or a sense of developing variation, he does a 180 and ventures in an entirely different direction. As a result of this unpredictability, the Fourth Symphony is rich with ideas but not easy to summarize. Right from the start, Langgaard defies symphonic logic, with a gestural hammer-stroke more reminiscent of an ending than a beginning (he also ends the work with this same Eb-minor crash). The emphatic opening indicates this is going to be no leisurely stroll, but a wind-battered slog. Stormy material like this counters more pastoral themes interspersed throughout. These include a dorian melody for "II. Glimpse of Sun," a modal phrase that dominates the latter stages of symphony, and an effusive string line for the "III. 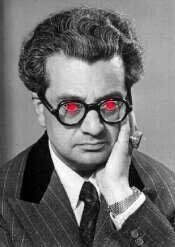 Allegrando" section. Here is that extroverted tune, serving as a (very tenuous) contrasting theme to the Eb-minor material from earlier. The most dramatic Langgaard-180 occurs halfway through the piece, when all orchestral activity empties out save a soft string cluster and a lethargic oboe melody. Here's the ending of section "VIII. Tired," concluding with a typically Langgaardian not-quite-right chord progression for muted strings. In a hard to quantify way, this Shepherd's tune has ramifications for the rest of the symphony. There follow nods to thematic retreat (in section IX), straining apotheosis (XI), and crashing defeat (XIII). The oddest is section "XII. Sunday Bells," in which Langgaard grinds the symphony's forward momentum to a halt -- instead of an expected climax, he presents 30 seconds of church bell sounds clanging away, a sound produced by overlapping whole-tone dyads (in in a similar manner to Holst's Saturn). It's not just the pictorialism or the way-too-soon minimalism that isn't symphonic in any traditional sense, it's the manner in which it just inserts itself into the piece, the utter disassociation from the other thematic or vaguely teleological things happening elsewhere. In this symphonic amble, it becomes increasingly clear that Langgaard follows no trail map. In the late 1960's, after his death to obscurity in 1952, Langgaard finally began to accumulate some recognition. This came particularly from his Music of the Spheres, a perplexing work that engages the revelatory and apocalyptic strains found throughout his oeuvre. Ligeti is said to have been astonished at the sight of the piece's score, which anticipated by half a century the orchestral colors of his own sonorist Atmospheres. (Per Nørgård, who we've already met, delightfully describes his role in the discovery here). Perhaps this composer, for whom enduring neglect was practically a bodily function, was not such a bitter reactionary after all. Maybe we should treat Rued Langgaard rather as chronologically misplaced prophet, writing either too early or too late, but not when the establishment deemed he should have been. : This, and many other anecdotes, interviews, and reference material can be obtained at the terrific website of the Langgaard Foundation. : Neeme Järvi's recording is also excellent, though for the most emphatic (and uneven) treatment, try out Ilya Stupel's account. : I haven't ascertained whether the Strauss work was heard by Langgaard by the time of his composition of Løvfald, but I wouldn't be surprised if there were some influence. Unsung Symphonies is thrilled to welcome its second guest post, this time from NYU Music Professor Michael Beckerman. Professor Beckerman was kind enough to pass on to us a report he received from a Russian correspondent, Mitchell Bochermann, on the history of "side listening," which we reproduce below. Bochermann recently completed a monograph on the psychohistory of the "Love Story" theme and its use in skating competitions. We hope you enjoy his research and can report on some shadow symphonies of your own. It was the two studies in Science and Nature that got things going. A group of Princeton scientists, all musical amateurs, claimed to find a group of shadow symphonies embedded within Beethoven’s works. Dr. Frieheer McGeer, formerly engaged with the mysterious collapse of honeybee hives throughout northwestern Europe, struck first with the following prescient comment: “If you listen in just the right way, you can hear fragments of two different symphonies within Beethoven’s Pastoral. I call these PSA and PSB and they refer to Pastoral shadows A and B.“ PSA A, according to McGeer (but later disputed in a randomized trial by Pollack and Jaystore) was actually the torso of a late Vanhal work, a programmatic overture known as “The Ambassador;” McGeer was able to tentatively (and surprisingly) identify PSB as an early Schubert piano sonatina, previously unknown. When McGeer and his other colleagues such as Ama Ada Unguent first advanced the principle of side listening it was not accepted by the majority of scholars as it is today. Using a little-known (and less well understood) homily taken from a late period lecture of Derrida now titled “The Gain and the Glance,” McGeer/Unguent theorized the existence of sonic shadows. Claiming that the ear could do precisely what the eye accomplishes in reading the so-called “Magic Eye” images, they first encountered a high level of derision, as had the Magic Eye inventors. But while the Magic Eye hid images of a mostly banal type—a chicken holding an Albanian flag or the word “Hola,”—the symphonies of Beethoven, and also several by Haydn, Mendelssohn and Brahms were discovered to hold smaller masterpieces within. And just as the validity of the Magic Eye could be proven by the agreement about what was being seen, listeners, at least most of them, rapidly became able to hear these shadow symphonies. A personal favorite of mine is B4C4B (Brahms Fourth Symphony Chaconne Fourth Variant, B section) which contains the entire slowed down version of a Dittersdorf development section, though which one is not precisely clear. It was recently discovered that Mendelssohn “Italian” shares its Pilgrim’s March with a Czech Christmas Pastoral by Mrozek. The Mendelssohn/Mrozek is, as has been shown, the only example of a shadow symphony that contains vocal parts. Mrozek’s work was originally thought to be by Georg Zrunek, the pen name of Adam Vaclav Strcprst. I wound up with today's symphony for the same predictable one-word reason I wind up with a lot of symphonies: Mahler. 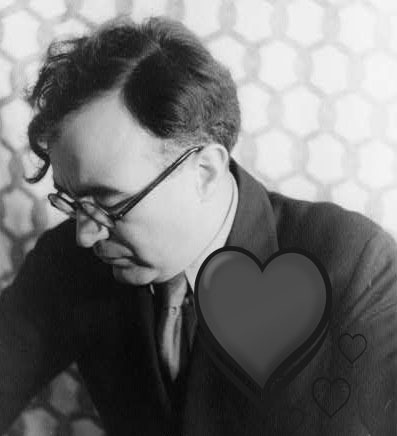 On the surface, there's very little that links Gustav Mahler and Carlos Chavez (1899-1978), the Mexican composer whose Symphony No. 4 — Sinfonía Romántica (1953) I explore here. But I'm just following in the footsteps of Leonard Bernstein, the great composer and conductor and even better expert at keeping a perfect crease. In a concert during the New York Philharmonic's 1960 Mahler festival, Bernstein paired up this Chavez symphony with a selection of Mahler songs. Then, as today, conductors more often linked Mahler with other German-speaking composers than with Mexican modernists. 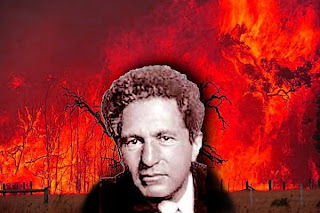 In the 1950s, one of Bernstein's predecessors at the NY Phil, Bruno Walter, played a similar set of Mahler songs alongside works by Beethoven and Mozart. I don't know if there's anything "recognizably Mexican" in the Sinfonía Romántica in particular. (It's worth noting, perhaps, that the piece was a Louisville Symphony Orchestra commission.) But we do know that Chavez was a key musical figure in Mexico — not just as a composer of seven symphonies, a number of ballets, chamber pieces, and other works, but also as a journalist and a leader of major Mexican musical institutions. And I've heard that Chavez was interested in Native American music; themes have been identified in Chavez's other works, including his Symphony No. 2, the Sinfonía India (1935-6). In a fascinating set of pre-concert lecture notes from 1960, Bernstein seemed to define Chavez's Mexicanness in the Romántica in terms of stereotypes — as a blend of Indian austerity (and here Bernstein mentioned Aztec idols) with Latin passion (and here Bernstein crossed out a passage about Spanish olive oil). But the return of woodwinds and of more complex textures jolts us back to reality at the beginning of the third movement. Our original English horn theme gets a new context, appearing here on the heels of the last movement's more playful main theme. I don't know if that's a "romantic" ending to a "romantic" symphony, but it does make me crave olive oil. But I always crave olive oil, so you be the judge. 1. Copland, Our New Music (1941) 205. Sad news to report -- Henryk Górecki, the Polish composer whose Second Symphony "Copernican" we've already written up, has passed away at 76 after a fight with prolonged illness. You can read more here, here, and here. Górecki deserves a special tribute here, as somehow, against all odds, his Third Symphony "Sorrowful Songs" (1976) managed to defy the "Unsung" assumption for late 20th Century Symphonies -- the 1992 Elektra-Nonesuch recording with soprano Dawn Upshaw sold an unprecedented number of copies for a contemporary classical work, spawning 12+ rerecordings (!) and angering critics who mistook the symphony's glacial floes of grief and memory for simple monotony. All this popularity perplexed the supremely modest composer, of course. Hearing past the hype is not something we're used to asking at this blog (symphonic hype? we wish), but Górecki's Third really deserves to be heard with fresh, attentive ears. 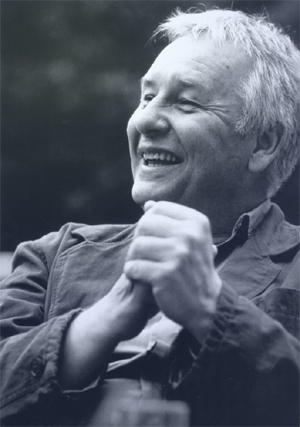 Heartbreakingly, Gorecki never completed his Fourth Symphony, a work that was scheduled for first performance earlier this year by the London Phil, only to be cancelled because of his illness. Given that Górecki's compositional output slowed to a minuscule dribble in his later years, the importance of this work will be all the greater - that is if it eventually is completed by someone else and premieres posthumously (rest assured, we will cover it). So many of Górecki's compositions are laments that it is almost impossible to single out a particular work to leave you with. So we'll go with the obvious choice and offer his Third. Here is the gargantuan aeolian canon based a hybrid of two Polish songs, "Oto Jesus umiera" and "Niechaj bendzie pochwalony" that grows to such an agonized climax before giving way to Upshaw's vocals on a 14th Century Polish Marian lament "O my son, beloved and chosen, Share your wounds with your mother..."
Today we discuss a composer from the turn of the 19th Century whose four symphonies had until relatively recently fallen off the face of the (musical) Earth. During the Revolutionary Period, Étienne Méhul (1763-1817) was regarded as one of France's most popular and innovative composers of opera, labeled a "Romantic" in the rather early year of 1793. He was responsible for a 1790s golden age for opéras-comique with his then-inescapable historico-mythical stage works. In them, one might be struck by stylistic traits not usually found until the much later works of Richard Wagner (or at least Carl Maria von Weber): jolting modulations, a hefty orchestral role, and a thorough use of "reminiscence motifs" -- themes linked with important ideas that recur at various stages in the work. The commanding stature of his serious operas, along with a steady production of patriotic marches and choruses, led to a friendship with Napoleon himself, who commissioned works from Méhul directly. Though the popularity of his stage works waned somewhat with changes in taste after 1800, they were nonetheless highly praised by a generation of later composers, particularly Berlioz. Seeking to branch out into new sound worlds, Méhul set about writing a cycle of five symphonies during the Imperial Era, which otherwise boasted no significant new such works from any French composer. 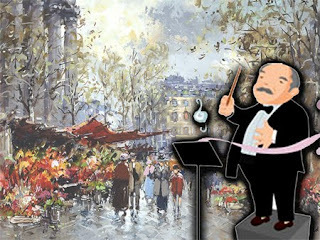 Orchestral culture in Paris deemed symphonies the proper province of the Germans, so that while Méhul's plunge into the genre would not have been expressly discouraged, he was swimming against the tide. Completed between 1808 and 1811, these five symphonies received quite positive reviews, but it seems that their place in posterity was damned by the barbs hurled by two influential critics, Cherubini and Fétis. The former dismissed the symphonies as musical "ephemera" while the latter sneered that they were "dry and pretentious" attempts at ersatz Haydn. (Quoted in Schwartz, 1987, 92). In 1979, while researching Berlioz, musicologist David Charlton discovered to his astonishment the orchestral part manuscripts for the 3rd and 4th symphonies of Méhul, whose full scores had long gone missing (the 5th remains incomplete, possibly never finished). His editorial reconstructions were published in 1982 in a full volume of Méhul symphonies, and a CD recording from Nimbus Records came out seven years later with all four performed by Michel Swierczweski and the Orchestra of the Gulbenkian Foundation. Now, we seem to be witnessing an upswing in the reception of this composer, as tonight (Nov 9, 2010), the world will witness the first British performance ever of Méhul's Fourth Symphony in E Major (1810)! The work will "premier" at a concert with the Orchestra of the Enlightenment, alongside other music of Parisian vintage from Cherubini, Berlioz, and Mozart (Symphony No. 31). An article in the Telegraph by Richard Savill boldly announces to the world the importance of this event: "Lost Étienne Méhul symphony set for London premiere." The cyclic linkage in Méhul's Fourth occurs between the 1st Movement's slow introduction and a leg of the 4th spasmodic Allegro theme. Beginning the 1st is a stately harmonic progression that sculpts out E-major in no big hurry. Certainly a clever incorporation, but not exactly the overthrowing of all symphonic shackles Savill's article makes it out to be. Frankly, I find the more compelling "cyclical" element to be the reuse of an adventurous sequence (for which Méhul had a decided knack) from 1st Movement's first subject. In the 4th movement, it comes fast on the heels of the example above, adding yet more nervous energy. It's a more abstract kind of connection than we're used to in thematic recollections, and it suggests tighter formal control than I think Méhul's critics were willing to grant him. For convenience's sake, I've merged the two instances of the sequence into one example. There are smaller hints of recall between the two outer movements, but I feel like this connection above all "makes" the boundlessly energetic 4th movement, as if we were hearing 1st on speed. The inner movements don't participate in this game, but have remarkable components as well. The 3rd movement, totally rewritten after some critiques of the original (apparently over-contrapuntal) is a Haydnesque minuet, managing even in its stripped-down veneer to sound arch, even a bit tipsy at moments. The 2nd movement Andante is, to my ears, without precedent in terms of symphonic orchestration, consisting for 58 measures of nothing but an intensely lyrical (aria-like?) cello melody supported by bass pizzicato. And yes, that's the NPR motif appearing briefly in its second sentence (around :52). We await the U.K. premier of the Fourth -- ultimately it is up to the public to judge whether Méhul's symphonic oeuvre is, like Charlton says, a seismic jolt of unheard masterpieces or just another historical curiosity. To those willing to probe a little beyond the headlines, however, one will discover a wily and resourceful composer, having absorbed everything Haydn through Beethoven could teach at that moment and pushing his own limits as a composer of opera. 1. Charlton's editions with commentary of the First Symphony and 3rd through 5th provided a great deal of the background for this post. 3. Examples culled, of course, from his operas -- I found no evidence that Berlioz ever heard any of Méhul's symphonies. Last night, while you were walking around your neighborhood in your "scary" costume, eating Twix,1 and generally having a good time, I was doing Halloween for real. It was party time for you, but I spent nearly two hours listening to frightening organ music. And I lived to tell the tale. That two-hour chunk of organ music was actually all one piece — Khaikosru Sorabji's Organ Symphony No. 1 (1924). I came across the English2 composer's name last year because of a somewhat snarky article he wrote in 1928 in The Musical Times urging more performances of Mahler's music. All this makes perfect sense if you remember that Sorabji (1892-1988) was really a rock star ahead of his time. Approaching "Jumi" or the Organ Symphony No. 1 isn't so daunting if you treat it like the Flaming Lips' legendary Zaireeka, the album you're supposed to listen to on four different stereos simultaneously (and the only CD I know of with instructions for proper use). My brief experience with the blend of towering chords and labyrinthine polyphony in the Organ Symphony suggests that next time, I might want to bring some friends over (on some night besides Halloween), lie down, and just let the music wash over everyone in the room. The main point here is that I survived Halloween night without any Bach Toccata-related nightmares. This is remarkable, because Bach is a big part of this symphony, and of that last clip in particular — and not just because of the instrument or the counterpoint. What you might not realize about that last passage, about 40 minutes into the movement and serving as a kind of overall climax, is that Sorabji gives us the famous B-A-C-H (Bb, A, C, B) figure in those wild block chords you just heard. It happens seven times, an ostinato that trumps the first movement's passacaglia foundation. Sorabji even wrote "BACH" in the score. Every single time. Irony or not, it's pretty intense hearing the pedal part trying to get its groove back underneath that weight of the great German master. You made it this far, which means your heart can stand the shocking facts about (and sounds of) Sorabji's Organ Symphony No. 1. And remember, my friend: future events, including actual performances of Sorabji's symphonies, will affect you in the future. You are interested in the unknown, the mysterious, the unexplainable. That is why you're listening to Sorabji, and that's why you're here at Unsung Symphonies.6 Now do yourself a favor and check out the modern Sorabji, XTC's Andy Partridge, in a rare live performance of one of the greatest songs ever. 1. They're all Twix. It was a setup. 2. According to Paul Rapoport in Grove, Sorabji — whose mother was Spanish-Sicilian and father was Parsi — didn't care for the "English" label. 3. So say Allistair Hinton's liner notes to the recording. 4. See Grove and Chalkhills for this striking connection. 6. Text adapted from Ed Wood, Plan 9 From Outer Space, but applicable to nearly any situation involving scary stuff. Impossible Symphony - Kastner's "Les Cris de Paris"
Unsung Symphonies is proud to announce its first guest post, from Harvard Professor of Music Alex Rehding! In addition to his wide-ranging work in music theory, the history of ideas, and aesthetics, Alex is always on the lookout for new obscure works. In today's post, he explores a genuinely "unsung" symphony, a work from the composer J.G Kastner that has not been performed before, and for certain reasons may never be! easy categorization: Kastner was always exceptionally good at crossing boundaries. As a musician born and raised in Alsace—a region located on the border between France and Germany that had been in constant territorial dispute for the last one thousand years—this must have come quite naturally to him. Born Johann Georg Kastner, he soon became Jean Georges after he moved to Paris in 1835 to study at the famous Conservatoire. Much of what we know about Kastner nowadays stems from the three-volume biography that his widow commissioned after Kastner’s untimely death. The German-language biographer, Hermann Ludwig, was eager to tie Kastner more firmly to a Germanic sphere of influence and its more prestigious symphonic tradition. As a result, the image we have of Kastner—such as it is—is furrowed by the same kind of rifts as his native Alsace. This year marks Kastner’s 200th birthday on March 9. This joyous event was, arguably, somewhat overshadowed by his contemporaries Chopin and Schumann. Kastner has suffered from being not-quite-a-scholar and not-quite-a-composer. He earned his place in music history primarily with a hybrid genre called livre-partition or “book-score.” The livres-partitions collect information on a given musical topic— dances of death, the sirens, army songs, the city cries of Paris, and others—in the form of a learned (but rarely scholarly) treatise, and then top it off with an original composition on the topic of the treatise. The compositions that conclude Kastner’s learned works are often called “symphony.” This title may seem misleading, given that most of these works include vocal parts, but in fact they follow in the French tradition of symphonic works, of which Berlioz is the most famous representative, which not only include instrumental music but also vocal forces, including choruses and dramatic scenes. In 1888 the German musicologist Philipp Spitta pointed out, in a review of Ludwig’s biography, that none of Kastner’s compositions had ever been performed. Spitta noted that Kastner seems surprisingly unconcerned about this circumstance, and speculated that perhaps regular concert audiences are not even right for his music: the compositions are firmly bound to the intellectual and physical context from which they stem, and readers who will have the stamina to plow through an entire treatise, Spitta surmised, will have the required musical literacy as well to work through the score. It seems that in the intervening one hundred and twenty years the performance situation did not change much—until last year, when the Ensemble Clément Jannequin recorded a version of Kastner’s Grande symphonie humoristique vocale et instrumentale Les Cris de Paris (1857), which Spitta considered to be Kastner’s most successful work. What the Ensemble Jannequin produces, to say it upfront, has fairly little to do with Kastner’s partition—it is an eight-minute excerpt of sections from the substantial symphony, adapted for the forces the vocal ensemble normally operates with: they replace Kastner’s extravagant orchestral forces with piano, organ, and lute sounds. The excerpts they put together focus on the humorous episode of the “dormeur” (sleeper) and his lovely serenade, which is repeatedly disturbed by the rude shouts of the market vendors. The livre to which Les cris de Paris forms the partition, is a study—we might almost want to call it a musical ethnography—of the street cries of market vendors of Paris in a by-gone age. Kastner tirelessly collected, transcribed, notated, and classified the hundreds of calls that made up the soundscape of urban Paris and that were fast disappearing in the course of the industrialization. If any reader wonders why the cris de Paris are all so surprisingly musical, rhythmic and diatonic, a ready answer can be found in the partition, which weaves all these different sound snippets into a dense symphonic web of motivic relations. The whole project is carried by a prominent sense of nostalgia, and was eagerly studied by French musicians of subsequent generations. It is not for nothing that the first vocal entry we hear in this recording is “Restez, ô mes songes fidèles” (stay, my faithful dreams). The Ensemble Jannequin subtly underlines the melancholy relationship of Kastner’s work to an irrevocable age by adopting archaic, though historically accurate, French pronunciation in their performance, which by the nineteenth century was outmoded—pronouncing, for instance, “trois” and “noix” with a nasal diphthong. The boisterous and rambunctious excerpts that the Ensemble Jannequin singles out, however, do not necessarily convey the impression that the symphony as a whole would make. Despite the “humoristique” overtones of the whole symphony, the score ends with a tender (and extremely quiet) chorus, which completes a whole day of noises in the cityscape of Paris. It is worth studying the score as a whole—not only for the virtuosic web of market calls that Kastner weaves into his music, but also for the progressive instrumental effects that Kastner employs, including harp harmonics, and the sheer profligate orchestral forces that Kastner’s boundless imagination conjures up (including a march that requires forty different brass instruments). In the end, one can only agree with Spitta, that this is a music for which performance is secondary. It revels, more than anything else, in its status beyond boundaries as an impossible symphony. It was my dad’s birthday this past Monday. And as I think about everything he’s taught me over the years, one stands out in particular: orchestral music sounds pretty good when you leave out most of the orchestra. When I was growing up, every so often over the summer we’d head down to D.C. from the Maryland suburbs and sit on the steps of the U.S. Capitol to hear service bands perform pieces composed for wind band.1 And just as often, or maybe even more often, we’d hear wind band arrangements of orchestral classics. For these latter pieces, I occasionally thought something was missing. Once you’re used to the fluid turns in the violin that start “Night on Bald Mountain,” it’s hard to get used to choppy clarinets handling the same passage, as interesting as it might sound. But it also works the other way around. Compare the prim and proper lyrical theme in the orchestral re-arrangement of “Stars and Stripes Forever” with the much more boisterous —and, I think, appropriately march-like — original version for wind band (recording quality strategically chosen to play up contrast). Anyway, around the time of our trips to the Capitol, my dad mentioned Vittorio Giannini’s Symphony No. 3 (1958) and his own experience playing the tuba part with the All-Maryland High School Band at the Baltimore Civic Center in 1965. Giannini’s Third is the composer’s only symphony to be composed for wind band, and it appears to be the most famous of the Philadelphia-born composer’s five symphonies. Maybe its status as a symphony specifically for wind band helped give it a cultural lifeline, a unique and enduring avenue into a particular repertory. A number of symphonies were composed for this kind of group, but there are, of course, many more for standard orchestra. That may mean that a brand new symphony has an easier time competing to survive if it’s specifically for wind band. Call it natural symphonic selection. Add to that the fact that there’s nothing really puzzling, shocking, or experimental about Giannini’s Third (except maybe that it’s for wind band but isn’t otherwise strange), and you have a vivacious work that wind bands can really use to please crowds and that also carries the dignity and historical weight associated with the name “symphony”. Giannini seemed to want us to hear this composition as a straightforward wind-band play on a classical symphony. It has four movements, in the standard order of fast-slow-fast-fast. In the liner notes to the Mercury Living Presence recording, he even diagrammed the structure, specifically calling the first and last movements sonata forms. The second is looser, and the third is a scherzo. In other words, Giannini didn’t use the unusual medium as an excuse to do something wild and crazy. And he wanted us to know it. This might explain why, at times, the Third sounds like a wind band transcription of a symphony for orchestra — and it suggests to me, at least, that Giannini really conceived this symphony as an orchestral piece. When I hear the second theme of the first movement, I wonder if I ought to be hearing soaring strings instead of massed winds. This shouldn't surprise us — Giannini himself was a violinist. The part I’m talking about is in the following clip, after the hymn-like trombone passage and solo clarinet response. My dad didn’t know the piece before playing both the first and fourth movements in Baltimore in 1965, but it led him to buy a recording of the whole thing (the same one, with A. Clyde Roller and the Eastman Wind Ensemble, from which the above clips are drawn). As my dad recalled this week, “I thought it was great to be picked for the All-State band. All the band members traveled from all over the state to perform in Baltimore, which, to me at 17, was pretty far from home (Hillcrest Heights in the D.C. suburbs). They paired us up so that two students spent a night living with a family the day before the concert, which was given as part of the Maryland State Teachers' Association yearly meeting.” Click here for some collected snapshots from the actual program booklet, which my dad generously scanned for use here. Zoom in on the tubas. 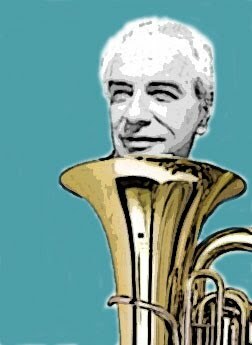 So, as a special treat, here’s the recording of the entire fourth movement — my favorite in this symphony — from that exact 1965 Baltimore Civic Center Concert, featuring my father, Marc Mugmon, on tuba. It was conducted by Richard Higgins, who headed both the Peabody Conservatory of Music and the Peabody Wind Ensemble. Enjoy! 1.“Wind Band” might not be the preferred nomenclature. "Band," “Symphonic Winds,” “Symphonic Band,” “Concert Band,” “Military Band,” or “Wind Ensemble,” please. Wind chimes don't count — serenity now! 2.From the liner notes to the Mercury Living Presence recording by A. Clyde Roller and the Eastman Wind Ensemble.